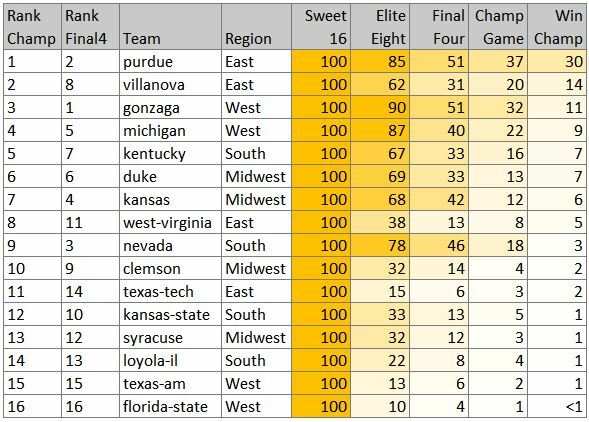 The table below displays our updated simulation results for the Sweet 16 moving forward. Each column represents that probability of each team advancing to a given round. For more info on how our simulation works, see this article.